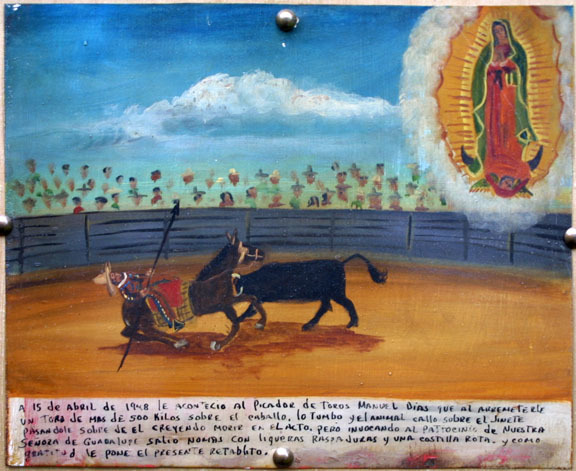 Spanish Translation: On April 15, 1948 it happened to the Picador of Bulls, Manuel Dios, that a bull over 500 Kilos attacked him on his horse. It upset the animal and he fell over the rider making him believe that he would die in the act. But invoking the patronage of Our Lady of Guadalupe he came out only with light scrapes and a broken rib. 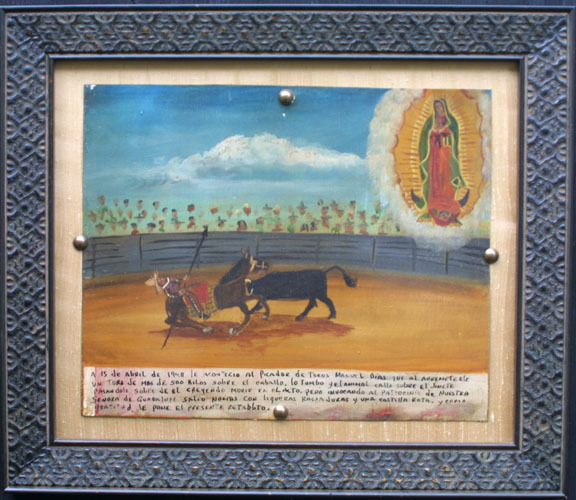 And in gratitude to her he paints the present little Retablo.